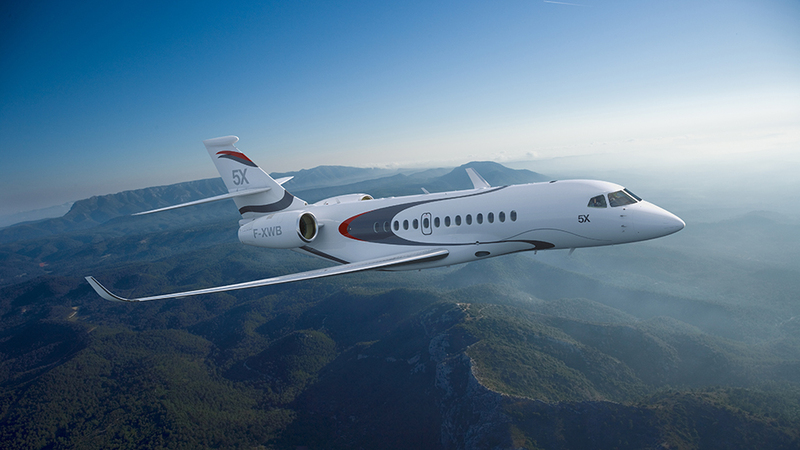 CAE and Dassault today announced an agreement naming CAE as the exclusive Dassault-Approved Training Provider (DATP) for the newly-launched Dassault Falcon 5X. This includes the provision of advanced pilot, maintenance and cabin crew training for the all-new Falcon 5X long-range business jet, which was launched at NBAA's Business Aviation Convention & Exhibition (BACE) show in October 2013. "We are very pleased with our long-standing partnership with CAE," said Frédéric Leboeuf Vice President, Falcon Operational Support, at Dassault Aviation, "and we are delighted to expand our relationship with the addition of the Falcon 5X." "CAE is very proud to be part of the innovative, new Falcon 5X aircraft program as the approved training partner," added Nick Leontidis, CAE Group President, Civil Simulation Products, Training and Services. "The process was highly competitive and our customer-focused approach, technological leadership and global training center network are what set us apart. We will be ready for training with a complete training program, including the deployment of two full-flight simulators, to support entry-to-service of the 5X." To support this program, CAE will develop the world's first two Falcon 5X simulators. CAE has designed, developed and delivered the world's first full-flight simulators for more than 40 new aircraft from 16 different original equipment manufacturers (OEMs). CAE will work closely with Dassault to determine the best initial location for deployment of training services based on customer demand. Additional deployments are also planned to support the growth of the Falcon 5X aircraft fleet. As a factory-approved training provider for Dassault Falcon, CAE delivers Falcon training around the world for the 7X, 2000, 2000 EX/EASy I & II, 900, 900B, 900 EX, 900 EX/EASy I & II, 50, 50EX, and 10. A high-resolution photo of the all-new Falcon 5X long-range business jet is available in our photo gallery at www.cae.com/photos.